MineSweeper is one classic simple online game for quality timepass (hopefully). 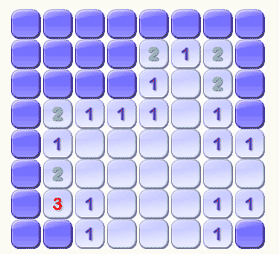 Stumbled upon really cool and easy online MineSweeper game. You can play it alone as single user or try Multi-user environment. You need to login to play Multi-user version. Login allows you to enter rooms of multiplayer mode. As far game goes, you need to click to reveal numbers and prevent clicking on mines to go bust. Just head over to Mines 2.0 and see how much score you can add up? Improve Spelling ability by making words, fun & play! Excellent! I thought about it just yesterday! If it’s not a secret can you publish an article? I wanna to study Google App Engine, and it’s very interesting thing for me.